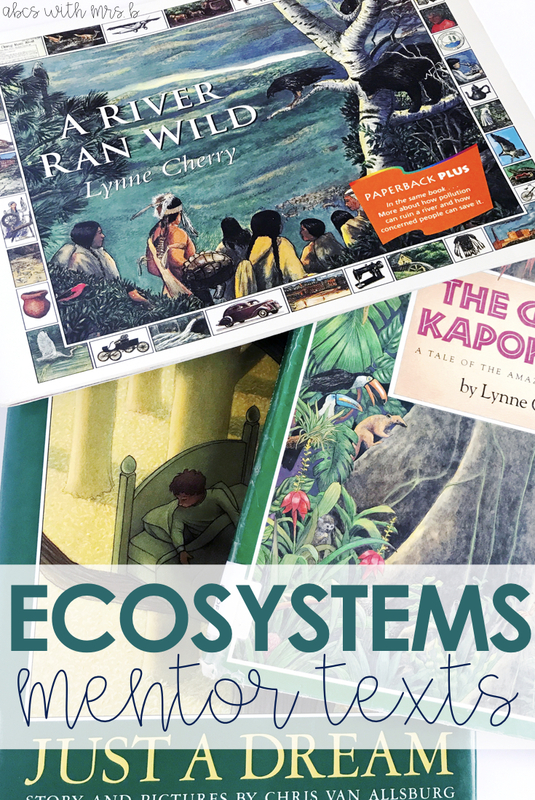 We are just finishing up our unit on ecosystems in 5th grade, so I wanted to share a few great mentor texts I used. These texts really talk about the effect humans have on ecosystems and the environment. Using read alouds during your science and social studies blocks is a great way to integrate your units with literature! Just a Dream by Chris Van Allsburg: You can find it on Amazon here. The book tells the story of a boy who travels to different places in his dream noticing how badly humans have ruined the planet. He learns a lesson throughout the book that we need to take care of the earth or else our future will be in trouble. A River Ran Wild by Lynne Cherry: You can find it on Amazon here. This book talks about a beautiful and resourceful river the Nashua Indians used. After excessive human impact, the river became severely polluted and ruined the surrounding ecosystem. The story also tells about how people came together and chose to clean up the river to renew its resources to the surrounding community. The Great Kapok Tree by Lynne Cherry: You can find it on Amazon here. This books begins with a man going into the forest to cut down a tree. The animals of the forest try to convince him not to cut down the tree and give several reasons why. These mentor texts have great extending lessons that can be used as well! Playing is learning! Teachers have so much content to teach and curriculum to follow, but allowing students time to play is so worth it! This year, I have implemented Exploration Stations. I am not able to fit in every day, but we try to schedule it as much as possible. Also, if my students get through some required work early, as a class, we dive in our play! The only rule we have is no technology! My students are on technology for a lot of instruction time, so I want them to experience some play without screen time. Students build such amazing skills through this time. They're able to build imagination and creativity. They work collaboratively with peers. Students are building relationships and working on speaking to one another appropriately. 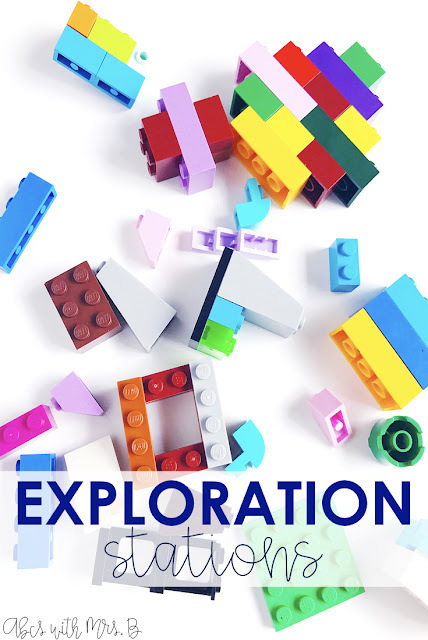 Here area few ways we implement Exploration Stations in the classroom! Board games are a great way for students to build strategic skills, as well as communicate with others and being good sports. Some of our favorites include Battleship, Candy Land and Connect Four. Kids LOVE Legos! They're able to build and work on that creativity and imagination. They can definition add up in price, but they truly never get old. Kids LOVE old school War, Crazy 8s and Solitaire. Cards are such a great tool to have in the classroom. I was able to go to my local casino and they donated so many sets to my school! Play actual dominoes, stack them, build marble mazes - anything works! Grab some reasonable dominoes HERE and marbles HERE. I bought some cheap yarn and beads. Kids went crazy for them and they have lasted awhile. Kids also love braiding the yarn to make bracelets and necklaces. Students can also use this time to use their own art supplies, extra paper, markers, etc. Giving kids some freedom with these materials sparks some creativity. 7. Check the Target Dollar Spot! 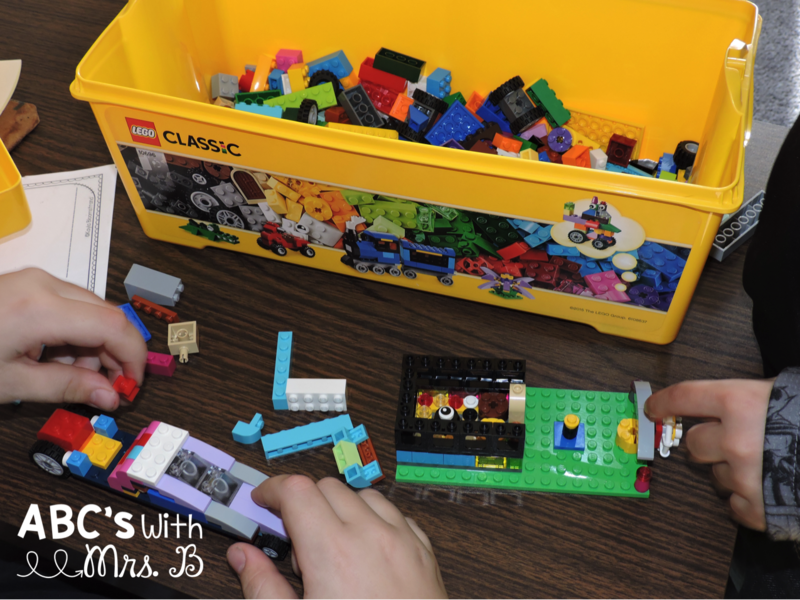 More often than not, there are always little toys, connectors, cheap items that students can use to build or create! Cheap and easy way to incorporate engineering and math into the Exploration Stations. It's pretty amazing what your students can do given the time to practice these skills. I also give my students choice on what they want to do during this time - as long as there is no technology! 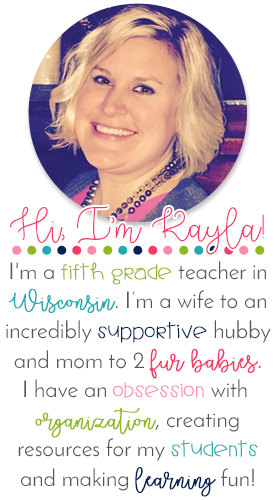 Give them a little digital detox and give those kiddos time to PLAY!